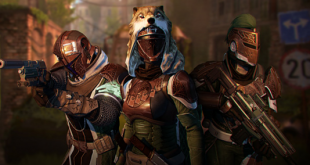 Home » OPINION PIECES » Is Destiny’s newest update worth getting into? Is Destiny’s newest update worth getting into? 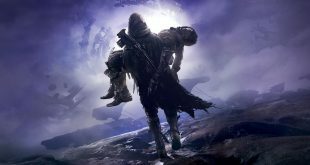 If you’ve been paying any attention to Destiny lately, you may have noticed a certain air of discontent among some of the more avid members of its audience. 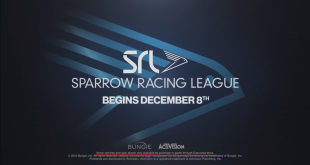 Among other things, there were complaints about how you essentially have to deal with three layers of RNG when getting loot (and bad loot in general), a lack of endgame content, and Bungie’s simply befuddling decision to effectively make every activity, weapon, armor piece, and almost everything else from before The Taken King DLC obsolete. The latest update to the game however, was intended to address many of these problems head on, though whether or not it’s enough of a change, or at least a good sign of things to come, is still to be determined. To their credit, Bungie did modify their infusion mechanic so that there is no longer a partial transfer of power between loot. Instead, the entirety of an item’s level is transferred, with no exceptions. Needless to say, this is a welcome change that no one could possibly have any issue with. Loot itself apparently drops at a more reasonable quality as well, although it is too early to say whether or not this trend will hold up in the days to come. As for now though, it seems as though completing certain activities will guarantee an item that is within a reasonable range (usually within 5 levels) of your current level as opposed to being all over the place. Plus there are legitimately new items (plus revamped old items) to earn in the update, even if some of them are aesthetically similar to old items. 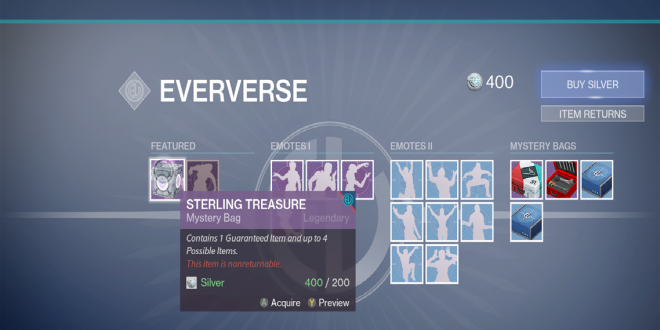 A large complaint with The Taken King DLC is that it simply made a lot of previous content obsolete, so Bungie apparently decided to bring at least one previous endgame activity back (kind of). The Prison of Elders is now a Challenge mode where you get points for killing bosses (and their usual entourage of enemies), which can lead to fairly decent items. Unfortunately, it seems to be rather untouched otherwise, featuring more or less the same bullet sponge bosses and rooms as before. Fortunately, it is (mercifully) shorter and or easier to complete the Challenge mode version of Prison of Elders, requiring somewhere around 15 minutes to simply beat the handful of bosses. In fact, as long as your level is somewhere above 310, you can probably beat it with just one other person. Chances are that if you hated the monotony of the original Prison of Elders though, then you will hate the new version of it. There is also a new strike dubbed “The Blighted Chalice” which furthers the plot of Destiny, albeit to a very small degree. It does not feature any new environment whatsoever as you start the strike in the room that Phogoth was in, then you essentially fight your way through the same areas that you already fought in a year ago. All of that being said, the update is free (as all updates should be), which means that you’re not really losing anything for trying it out. Even if the vast majority of the “new” content is recycled old content, at least it has some degree of relevance, plus it fixes a lot (but not all) of the problems that people had with The Taken King DLC. Previous What’s in Fallout 4’s Wasteland Workshop DLC and is it worth it?